Home - True Plastic Surgery Of The Florida Keys - True as Seen on HBO and Good Morning America! Dr. True As seen on HBO and Good Morning America! ​At True Plastic Surgery of The Florida Keys we believe our patients are special and vital to our success. We recognize that many patients may feel uneasy about cosmetic surgery, and how we can make a difference by providing a positive experience. True Plastic Surgery is dedicated to providing you with excellent personalized care and service to make your consultation and treatment as comfortable and as pleasant as possible.  Whether you're interested in cosmetic surgery, reconstructive surgery, or surgery of the hand, True Plastic Surgery of The Florida Keys has you covered! After becoming Board Certified in General Surgery, Doctor True became Board Certified in Plastic Surgery. He can perform over 1800 different procedures that range from pediatric surgery to skin cancers, Cosmetic Surgery, MOHS closures, mastectomies with reconstruction, to hyperbaric medicine and wound care. "Before meeting Dr. True Lansden and wife Lisa. I was receiving inadequate care when it come to my Botox and fillers. Inexperienced, I had been seeing a family physician and a nurse practitioner. This had left me naïve to the subpar results I received. It has made a substantial difference being seen by a skilled plastic surgeon. During my consultation with Dr. Lansden, I had felt immediately at ease. He took time to listen to my concerns and we specifically discussed areas I had felt self-conscious about. He educated me on my options thoroughly. The procedures were quick and painless. My results are phenomenal! I look like the best version of myself giving me confidence in all aspects of my life."